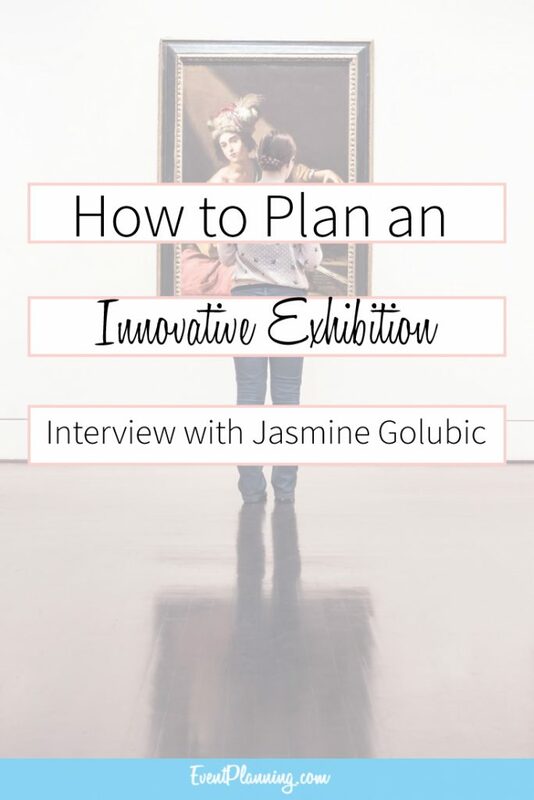 We recently spoke with Jasmine Golubic, the Project Manager of Transmission LA: AV Club curated by Mike D and the Supervisor of Brand/Lifestyle Events and Entertainment Initiatives at MBUSA (Mercedes-Benz USA). 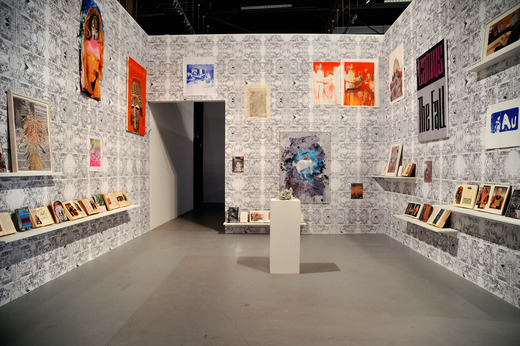 This amazing event, which was held from April 20th to May 6th at the Geffen Contemporary at MOCA, celebrated 17 different artists from multiple disciplines in a wondrous exhibition. 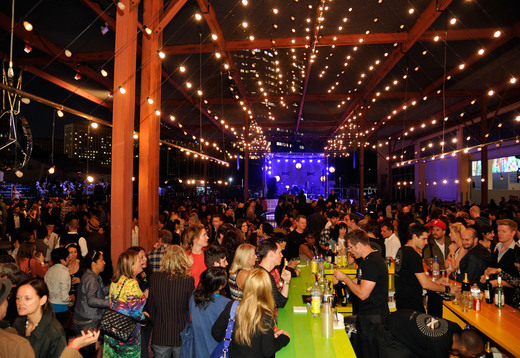 The 17 day long festival consisted of concerts, DJ nights, performances and installations. 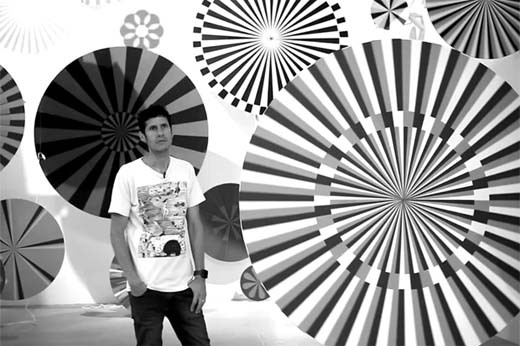 Curated by the legendary Beastie Boy himself, Mike D, Transmission LA: AV Club was designed to show how audio and visual art forms can inspire one another. A special highlight of the show included the unveiling of the Mercedes-Benz Style Coupe, which Mike D described as its own piece of art work. In addition to unveiling one of their most unique vehicles, Mercedes-Benz helped develop and plan the show. A few of the contributing artists included Benjamin Jones, a cartoonist, painter and multi-artist from Los Angeles, David Kramer, a multi-media artist from New York, Roy Choi, a chief chef from Los Angeles, Public Fiction: an art space and publication by Lauren Meckler from Los Angeles, and Takeshi Murata, a video artist from Los Angeles (among many other talented artists). Over 30,000 guests came to the exhibition during the 17 days, and the project turned out to be a great success! Sarah: How did the idea behind Transmission LA: AV Club come about? What was the history behind this event? Jasmine: The concept and idea was originated by Mercedes-Benz global Headquarters in Stuttgart. It started with an online magazine called Avantgarde Diaries that is now an overarching digital platform for all similar initiatives. The marketing direction and the inspiration for the overall idea actually lies in the New Generation of Compact Vehicles that Mercedes-Benz will be launching in 2013. One of these vehicles, the Concept Style Coupe, was shown as the part of the exhibit in LA. 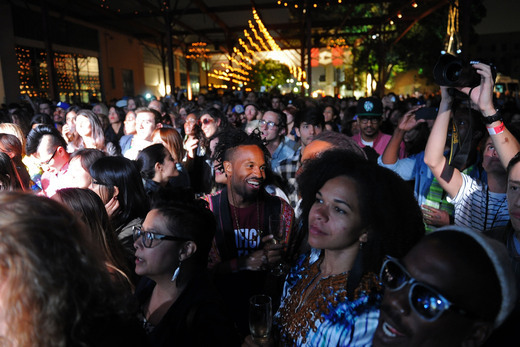 Transmission LA was the second in the series of the worldwide art festivals that Mercedes-Benz plans to execute. The first one took place in Berlin in July 2011. Sarah: Has Transmission LA held other events? If so, what sort of events have they held and which one of these was your favorite? JG: As mentioned, the first event took place in Berlin in 2011. It was a four day art exhibit/festival that launched a series of the events that followed worldwide, most of which on a much smaller scale, one or two-day events. Transmission LA was the longest and the most elaborate one thus far. 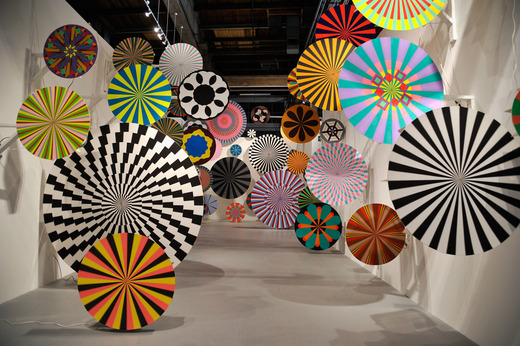 It allowed us to develop a multi-disciplinary activation concept, form the marketing and public relations stand point as well as from collaborating with relevant entities in the art & entertainment industry to executing local LA campaigns and giving back to the community by allowing a free public access to the exhibit. JG: Transmission LA: AV Club was a curated journey developed by Mike D himself. We shared with Mike our overall concept and gave him a creative liberty to execute the exhibit according to his vision. 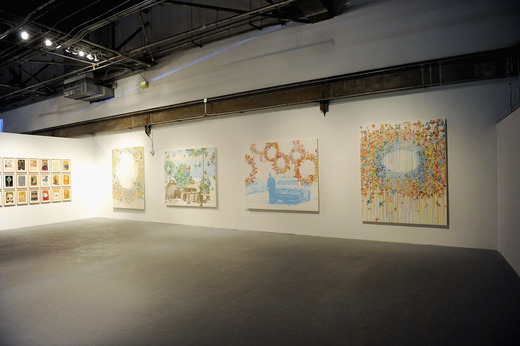 In the creative process, MOCA and Mr. Jeffrey Deitch, Director of MOCA, have played an advisory role to Mike. Sarah: Was there an exhibit that you enjoyed the most? If so, why? JG: It is very difficult to choose the most favorite exhibit. They were all unique in their own way. I believe what everyone enjoyed the most was the overall audio-visual experience of the installations and the musical performances delivered together. The positive and creative vibe that was felt throughout the two weeks, combined with a lot of smiles visibly seen on the faces of the museum visitors, were probably my two personal favorite memories. Sarah: Can you tell me a little bit more about the staging of the Mercedes-Benz Concept Style Coupe? What was the unveiling like? And did you face any challenges with it? JG: Mike D and his team developed the concept of the exhibit around the Concept Style Coupe. We shared with them an in-depth information about vehicle attributes and all we asked was to use them as the inspiration. The final exhibit design emphasized vehicle’s dynamic elements and motion through the lighting combined with the music written by Adam Horowitz of Beastie Boys. The unveiling was certainly exciting since we were seeing the vehicle for the first time as well. Also, this was the first time that Mercedes-Benz unveiled such a groundbreaking vehicle at an non-automotive event. There were no major challenges besides making sure that we kept the vehicle away from the public eyes and avoided any photo leaks before the official unveiling date. Sarah: Were there any truly big challenges when it came to planning this event? JG: The event was definitely a complex undertaking. From working with over 20 collaborating artists to developing an extensive marketing, digital and PR plan… from making sure that all stakeholders (Mercedes-Benz, artists, Mike D, MOCA, the City of LA, etc.) achieved their goals to managing a global production team. I am very happy to say that this was one of the most productive and enjoyable collaborations that I have ever worked on and I am sure that the entire team would attest to that. Daily production challenges were met with vigor and creativity flourished ever day during the planning and execution phases. Sarah: How was this event different from other events you have worked with? JG: Transmission LA: AV Club was unlike anything we have ever done. It was the first event where we were not asked to strictly follow the brand design guidelines and were given a creative liberty to develop the event that delivered the desired experience. Transmission LA: AV Club was conceptualized, developed and produced by Mercedes-Benz team, which makes it a very difference from the events we usually work on that are primarily sponsored events. Sarah: Do you have any advice for event planners who would like to gain more publicity for their events? JG: Think about all of your available resources, be creative and open to new ideas. During Transmission LA: AV Club we utilized our traditional PR and digital channels (domestic and global) as well as Mike D’s , MOCA’s and the artists’ communication channels. We also applied some grass-roots tactics by hiring street teams that extensively promoted the event throughout Los Angeles. Sarah: Thank you so much for chatting with us Jasmine, and congratulations on the huge success of the event! This was such a cool event. I took lots of pics and Roy Choi’s exhibit was my favorite!